Prime Minister Dean Barrow today met with the Chairman of the City of London Policy & Resources Committee, Mark Boleat, ahead of the Guildhall lunch where the Prime Minister was honoured by addressing an audience of international financiers and businessmen. Commenting on meeting with the Prime Minister, Mark Boleat said "We are very pleased to invite the Prime Minister of Belize to speak to these important guests at the Guildhall and discuss Belize and its future plans. The City of London, as the world centre of finance, welcomes important dialogue with developing countries and we hope the lunch will be fruitful for future investment and trade for the country. 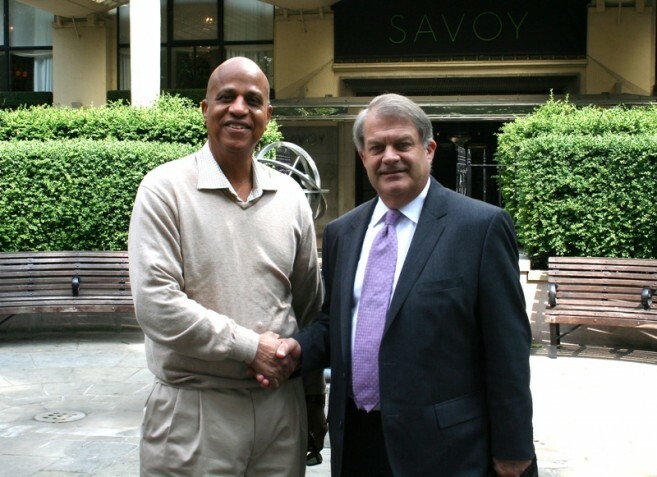 The City of London recognizes its role in supporting Belize and other developing countries and we hope to continue useful discussion in the future". 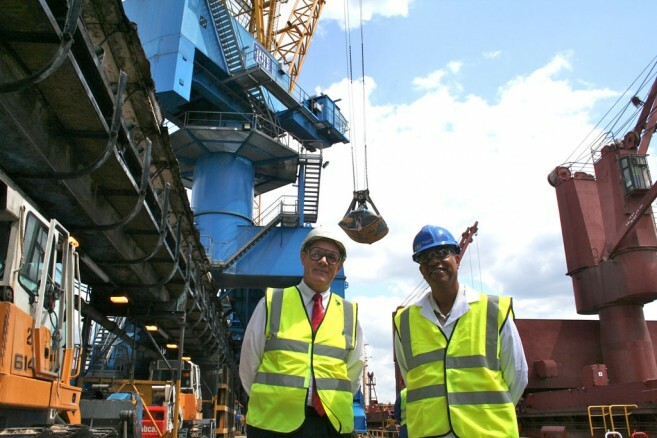 The Prime Minister was also hosted by the Directors and Senior Management of Tate & Lyle, who gave him a presentation on the future of the global sugar industry before being escorted to the refinery where he watched 13,000 tons of Belize sugar arrive at the factory. 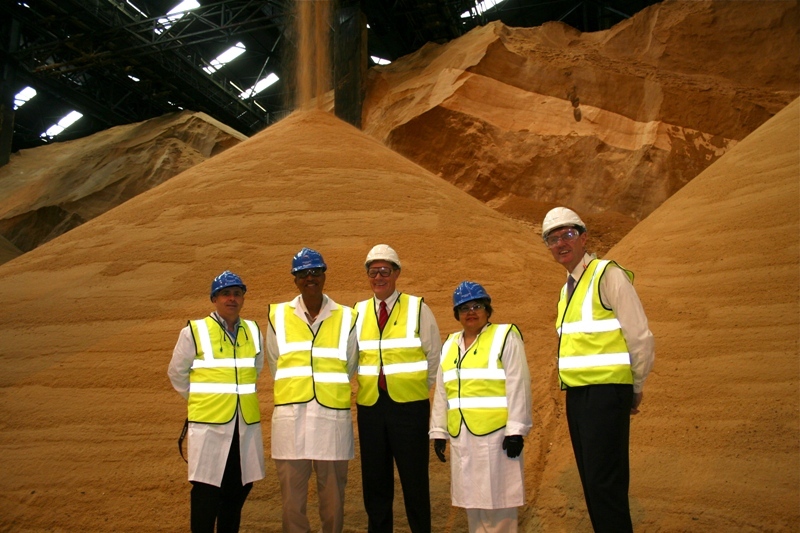 Mac McLachlan, Senior Advisor to Tate & Lyle, commenting on the Prime Minister’s visit said, “We are extremely happy to welcome the Prime Minister and his team here today and delighted he has been able to visit us and discuss with us important proposals for the future. We are also pleased that his timing of the visit could not be better as a boat from Belize arrived this morning to unload Belize sugar. It’s clear that giant leaps by the entire sugar industry in Belize over the last few years have provide Belize and the sugar industry a strong and secure platform for growth and the future of sugar in Belize. We are delighted to be part of that future with all the stakeholders in Belize."